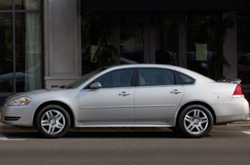 For the full 2013 Chevrolet Impala review, please scroll past the video below. Good Impala reviews are hard to find; let the the foremost Chevrolet retailer in Springfield put it all in one location for you. This article will tell you exactly what you're looking for. 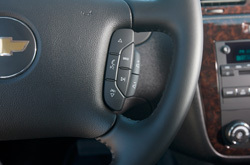 As your Springfield Chevrolet retailer, you can depend on us for bona fide information on the 2013 Chevrolet Impala. Don't wait any longer - get started on your research! Check out the 2013 Chevrolet Impala head-to-head with versus similar autos like the 2013 Chrysler 200, Ford Taurus, Toyota Avalon and the Buick Regal, and you will catch that the 2013 Impala beats out those vehicles in quite a few areas. Pay attention to the reasons see why! To get your Chevrolet Impala worked on by wonderful service techs, you don't need to drive far. Our Springfield auto service center is a quick cruise away and we offer a year warranty on every job. If you skip regularly servicing your Impala, its endurance could be impaired, so take it to Reliable Chevrolet's service center in Springfield. We will get a handle on a situation as manageable as an oil change, or complete more complicated auto repairs and service like timing belt replacements, strut and shock repairs and Chevrolet transmission rebuilds. And, Reliable Chevrolet offers great customer service and honest prices. Find incredible service coupons at Reliable Chevrolet by clicking below this text!